In addition to all the work that pertains directly to the array itself, there are lots of additional areas that are receiving attention at the Chilbolton LOFAR site. 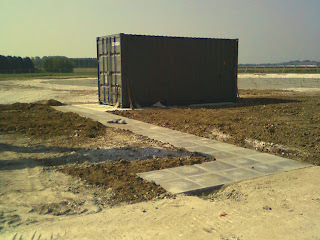 One of these is to make a path from the service road across to the RF-container. 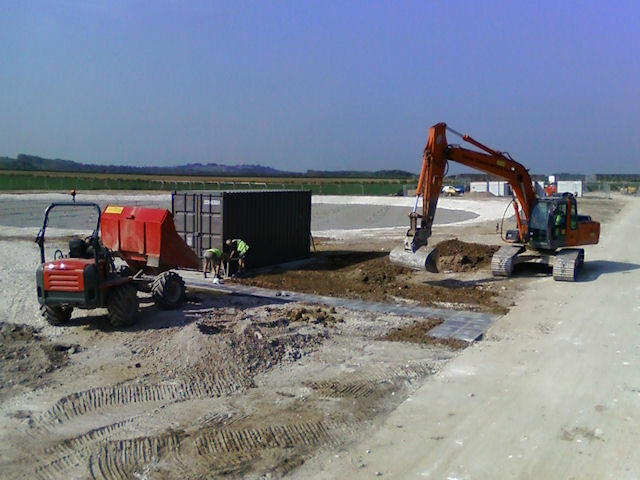 Apart from presenting a clean, hard walking surface when the site is finished and dressed, this path will allow heavier items to be wheeled from the road across to the container for installation. The pathway to the RF-container being installed.